Access FACTS and register for your payment plan at SPN FACTS. First, financial aid is available to registered parishioners of any Catholic church in the Archdiocese of Baltimore. A financial grant may apply to each student, so a family with several children in the school or in various Catholic schools in the Archdiocese could receive a grant for each child. This financial aid is available for need-based families and the money for tuition assistance comes from your fellow parishioners. Need is determined through an online FACTS application at SPN FACTS. Please contact your pastor for more information on how to apply for financial aid. Additionally, tuition assistance is awarded by the Archdiocese of Baltimore. 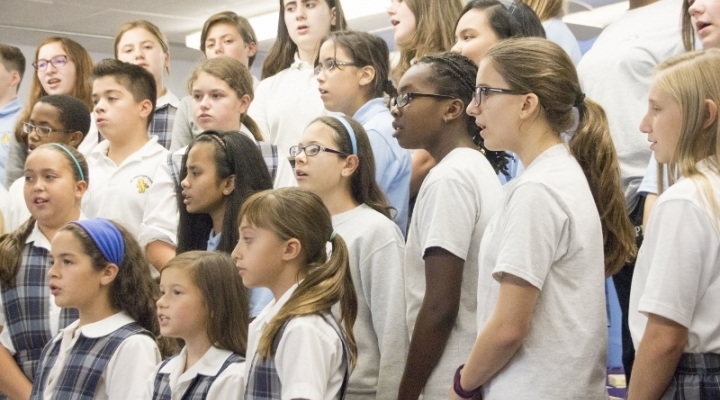 Archdiocesan tuition assistance generally comes from two funding sources: the Partners in Excellence Program and the Archdiocese of Baltimore School Fund. The Archdiocese is also contracted with FACTS so each family need only apply for grant and aid once. All applications will be reviewed by the Archdiocese to determine which families may also qualify for Archdiocesan aid. Grants awarded by the Archdiocese are renewed annually for the child's entire K-12 Catholic education as long as the family is still eligible. Completed applications must be received no later than February 28 annually. All tuition assistance awards are contingent upon a completed FACTS application with all required documentation submitted prior to the first day of school. We would be happy to answer any questions or help guide a family through the grants and aid application process. Contact Mrs. Susie Frazier at 410-859-1212 ext. 201 or sfrazier@st.philip-neri.org for more information.